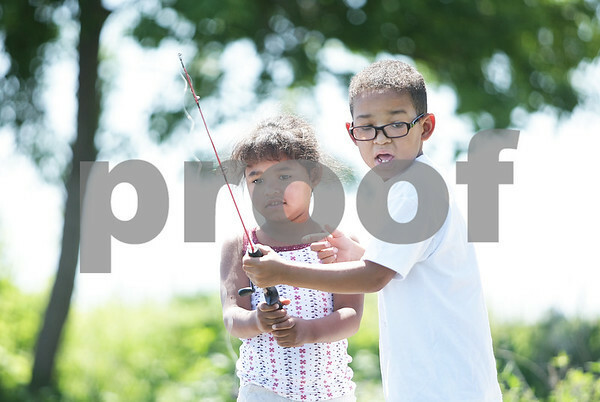 Donovan Cies, 6, helps little sister Anya Cies, 5, with her fishing rod at Shabbona Lake on Friday, June 6, 2014. All three siblings were born with drugs in their systems and were placed with Rebeccah Cies in 2007, she has been fostering kids for 20 years. In September of 2008, she adopted Donovan and his sisters Avery, 6, and Anya were adopted in October of 2010.